Shipment Arriving Soon. Please register interest. 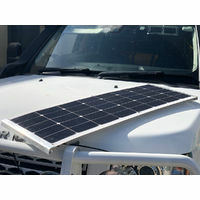 Wouldn't you like to easily pickup a powerpack that will run your fridge all day in your boat, day camping or in the back of your 4WD where there are tight spaces. We have the product using Lithium Iron Phosphate, the industry standard: super lightweight. The result is our 100Ahr Slimline Lithium battery is only 88mm deep. Thats right, it will fit behind the seat of most 4WD's. It's 440mm long and 300mm high. It weighs only 10.7kg (includes the metal casing). This Lithium Battery is a 100Ah Powerhouse 88mm Deep. No need for a distribution system. Protection is built into the battery. The terminals are nurled nuts on M6 posts. This is so you can simply add the type of connecting cable for your fridge with loops over the nuts. Charge the battery in the back of your vehicle during the week. If you don't have a dedicated wired Dc to DC Charger, no proble. Use the optional 10A DC to DC Charger and connect it to a cigarette lighter output in the back of your vehicle. Connect the battery to a dedicated DC to DC charger from Redarc, Projecta, Sterling and Intervolt. (Warranty is void on all others as they havent been tested). Connect up your fridge to any suitable outlet. 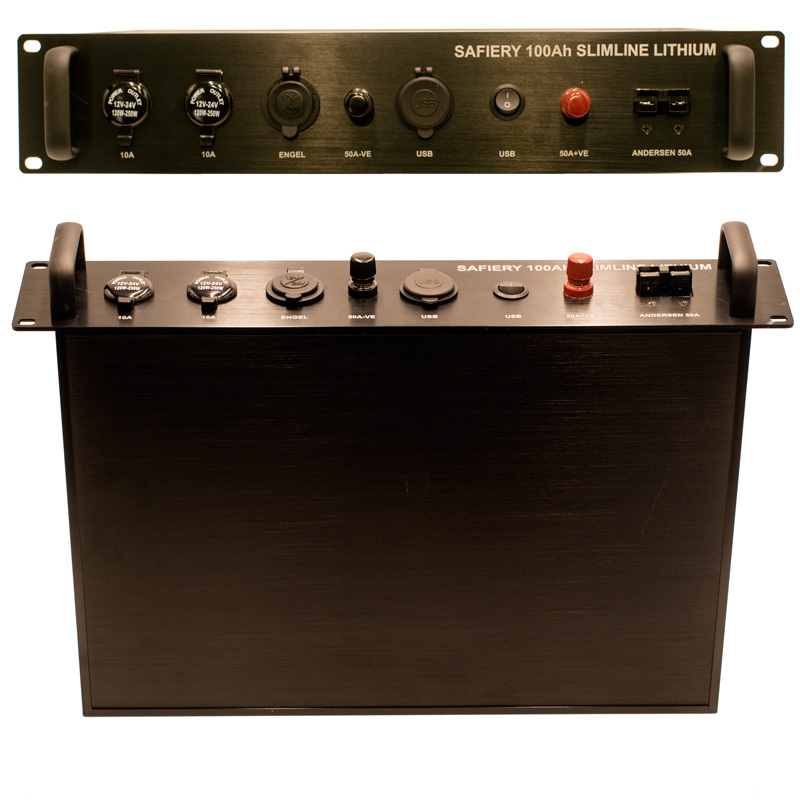 This battery is also suitable as a Lead Acid/AGM/Gel battery replacement in a caravan or camper trailer. It can be charged by any AGM battery charger that does not use an "equalisation or de-sulphation" mode. These chargers in AGM setting of 14.4V-14.6V should charger the battery to 95% quickly. They can get the battery to 99% but this last 3-4% will take longer than using a dedicated Lithium Charger. The best scenario with older chargers is to keep using these for DC to DC and 240V charging but Change your solar charger to a Lithium charger. We recommend Victron. Victron Smart Solar is 98% efficient and can be set with high Bulk/absorbtion Charge and Float charging levels. As you see it in the picture below. 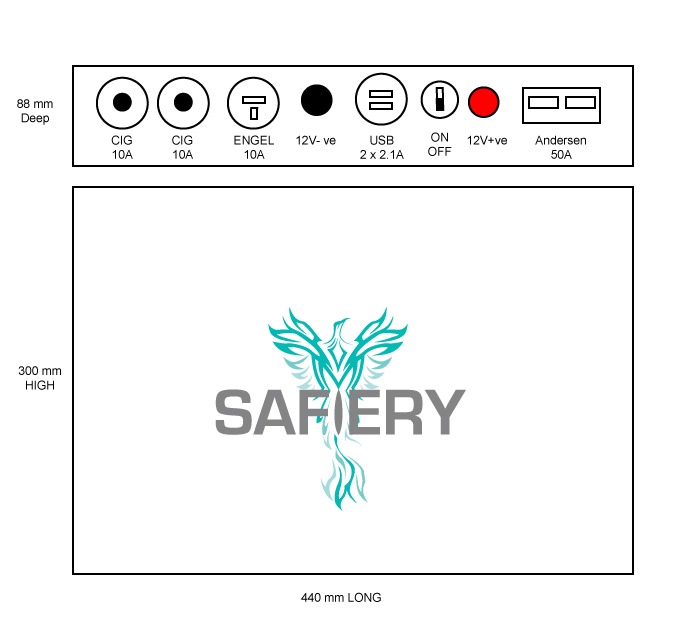 The battery is 440mm L x 300mmH x 88mm Deep. This excludes the lift handles. Link the batteries accross the terminals with ring connectors.